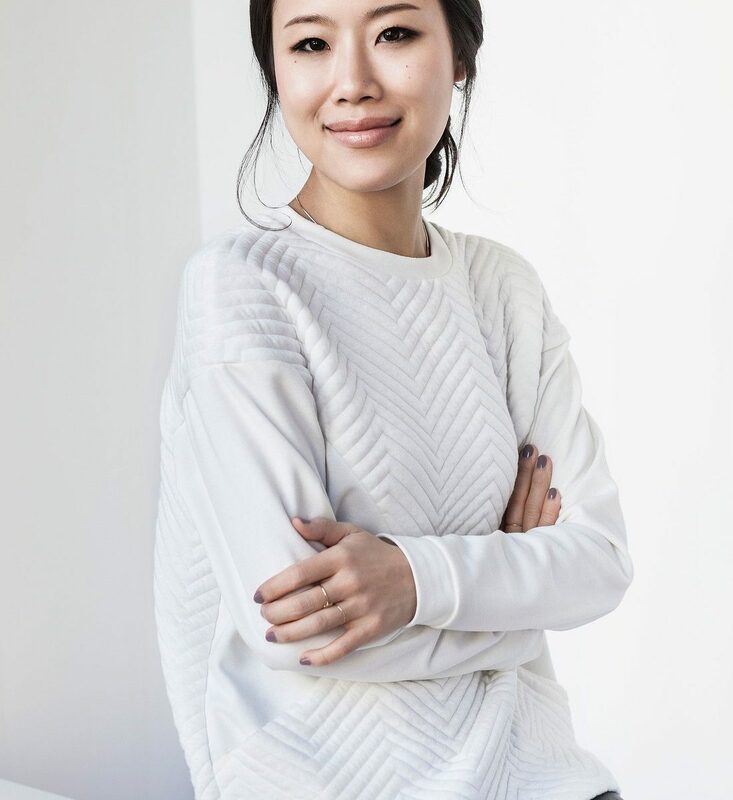 I recently received a facial from Alicia Yoon, esthetician, product formulator, and founder of Korean skincare haven, Peach & Lily (now also a product range under the same name). The facial, using all of Peach & Lily’s newly launched products, was incredibly soothing and gentle, and Alicia is an encyclopedia of beauty knowledge. She even taught me some face yoga, which, for someone who has tried every anti-aging product and device, was, well, face-changing. What is face yoga? It’s literally yoga for the face — stretching and strengthening the muscles in a n effort to prevent sagging and other signs of aging. Alicia swears by this at-home DIY facelift technique, and she’s got the tight, firm skin to prove it. Of course, I had to know more, so I asked Alicia to break down the benefits of face yoga and offer up a few moves that you can do daily to get those face muscles in top form. BEAUTY BANTER: What is face yoga? ALICIA YOON: Face yoga is all about relaxing and toning the facial muscles. BB: How did you learn about face yoga? And how long have your been doing it? AY: I first learned from my family facialist in Korea when I was a teenager, and I’ve been doing face yoga for the last twenty years! Then, as I started studying skincare and became an esthetician, I started exploring further to refine the movements to really target specific facial muscles. BB: How does it work? AY: It works very similarly to yoga for the body. Through targeted facial exercises, it tones the facial muscles to help keep the underlying muscles more firmed up and stronger. It also helps to relax various facial muscles that we may not have even realized was causing tension. BB: What are the face yoga techniques? AY: A very easy one is to say “a e i o u” but in a very exaggerated way mouthing those letters five times a day. When you really exaggerate every letter, you feel the muscles around the mouth, around the cheeks, and jaws get a bit of a work out. I also like to close my eyes and set my face into neutral and relax. You focus on every muscle in your face – try to breathe and feel the muscles of your forehead, around your eyes, around your mouth, etc – and relax into those muscles. It helps me realize which muscles I might be overusing or how I make this specific face when I’m concentrating and it sort of scrunches up my forehead a little. It makes me aware of the expressions I make without even realizing and then helps me focus on relaxing those muscles. It’s beneficial because it helps release tension on those overworked muscles, but also serves as a reminder to keep those muscles relaxed. It’s sort of like focusing on having good posture for your body. Another one I like is what I call “lip sit-ups.” Take your lips and tuck them under your teeth and then bring them back to neutral and do that ten times. You’ll feel the muscles all around the lips get a bit of a work out. BB: When will you see results? AY: In just a few weeks, your face will feel a bit more toned up. The real benefit is more long-term as you help keep your facial muscles toned and lifted up. BB: How often should you do it? AY: I recommend daily or at least every other day. Even if it’s just five to ten minutes, a little every day goes a long way. The best part is that once you get into the habit of doing this, it’s easy because you don’t need to use your hands, you don’t need products, and you can do this anywhere. You can do this while you’re at your desk or watching TV.